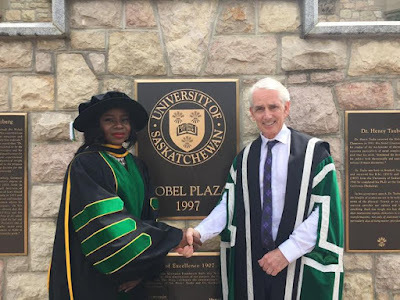 A Nigerian lady who grew up in Ibadan and had to sell pepper on the streets to assist her parents, just graduated from the University of Saskatchewan, Canada. 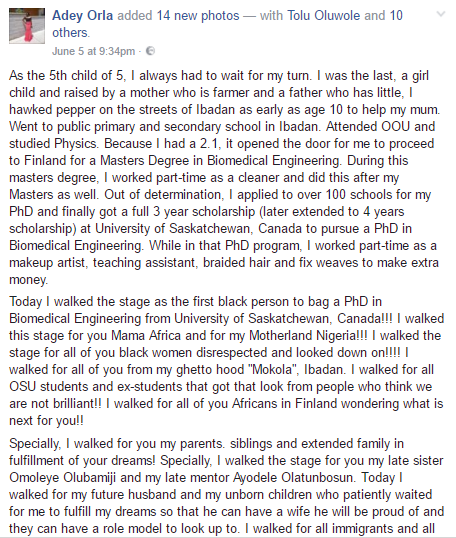 Asides selling pepper, she did a lot of other part-time jobs to fund her education. 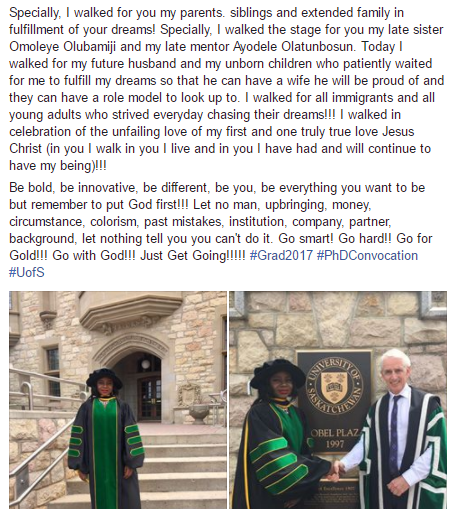 The hard-working woman just bagged bag a Ph.D. in Biomedical Engineering and she shared the good news together with the story of her struggles. Find it below.